Sleep Is For The Weak may cause Gina Ford to have contented kittens. It might even force Supernanny to throw herself off the naughty step, but it will certainly provide some welcome comfort and comical light relief to exhausted parents suffering from sleep-deprivation! 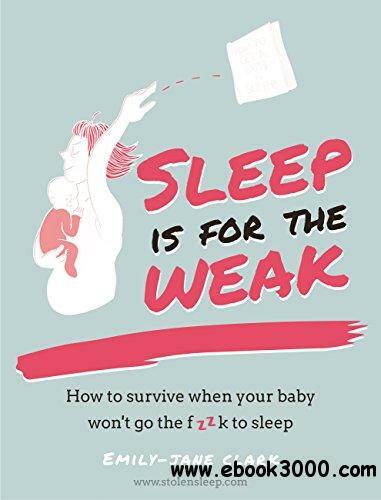 It features humorous alternatives to `useful' sleep advice while offering inspiration, laughter and survival strategies for mums and dads struggling to see the light at the end of the tunnel of tiredness. Including chapters `What to Expect (When Nothing Is Anything Like You Expected When You Were Expecting)' and `How Not To Lose Friends and Irritate People When You Have Babies', this book will make even the most stressed parent laugh. Combining Emily-Jane's own experiences in emotive detail (the good, the bad and the funny) with a series of tongue-in-cheek guides, charts, subversive imagery and NO-sleep solutions, this is a source of inspiration and hope for new mums and dads.